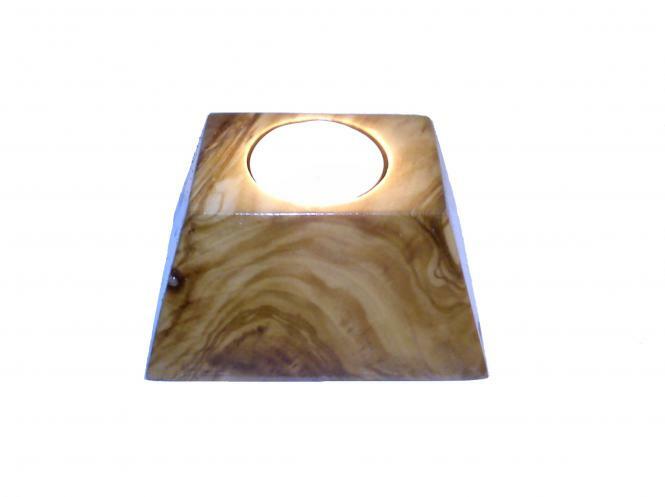 Product details : * Handmade candlestick from Greek olive wood that has the shape of a pyramid. 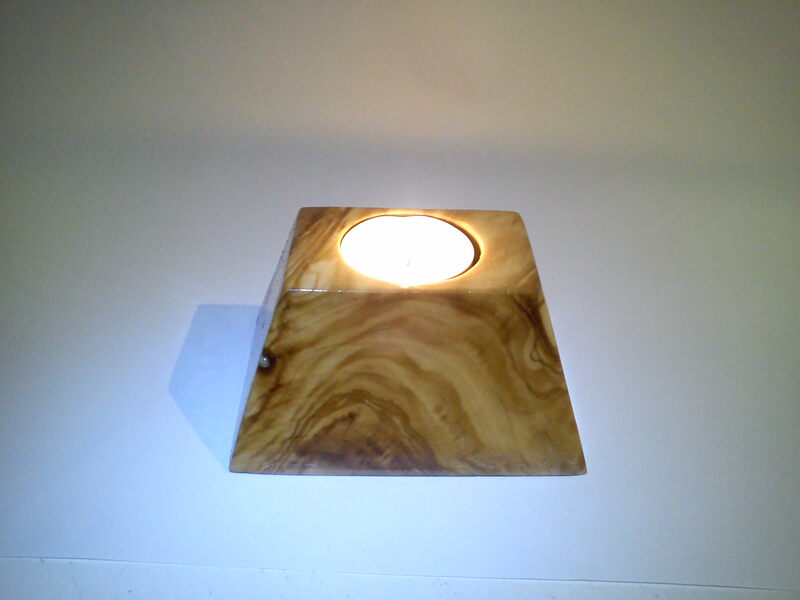 The wood emanates from a piece of the trunk of an old olive tree. * The wood suffered a natural four years drying process something that is necessary in order to get those beautiful colors you can see on the picture and for the better stability of the wood. * The natural candlestick is painted with a mix of a high quality transparent water based varnish and a preservative for woods. 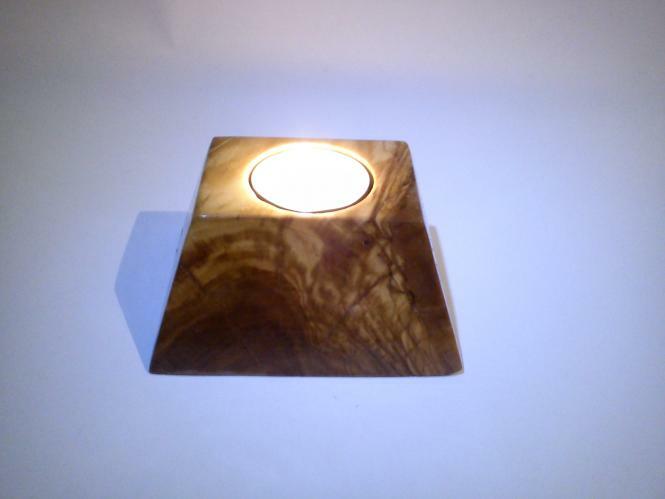 * Suitable with Tea Light Candles of 4.0cm or 1.6 inches diameter. * Size: 10.3 x 7.9 x 5.2 (height) cm or 4.1 x 3.1 x 2.0 (height) inches * Every candlestick that i made is natural so it’s unique and there are no copies. * Condition: new. Payment : · I accept PayPal · PayPal supports Visa, MasterCard, Discover & American Express credit cards. · The final price is the auction price, plus shipping & handling fee. · All items will be shipped within 2-3 business days of confirmed payment. Customer service: I always answer questions promptly and honestly, so please feel free to ask. Your satisfaction is important to me. Ideas (orders) accepted.